Below you fill find all funeral homes and cemeteries in or near Bryn Mawr. Suburbs of Bryn Mawr: Rosemont. Zip codes in the city: 19010. Some of the notable people born here have been: Samuel Conway (chemist), Jayne Marie Mansfield (actor and model), Marc S Firestone (businessperson and lawyer), Richard O'Donnell (actor and playwright), Kathy Jordan (tennis player), Helen Coxe (actor), and Richard Swett (politician and architect). Bryn Mawr (pronounced /ˌbrɪnˈmɑːr/;from Welsh for "great hill") is a census-designated place (CDP) in Radnor Township, Delaware County, Pennsylvania, Haverford Township, Delaware County, Pennsylvania and Lower Merion Township, Montgomery County, Pennsylvania, just west of Philadelphia along Lancaster Avenue (US-30) and the border with Delaware County. Bryn Mawr is located toward the center of what is known as the Main Line, a group of affluent Philadelphia suburban villages stretching from the city limits to Malvern. Bryn Mawr is home to many of Philadelphia's corporate elite including Vanguard founder Jack Bogle. As of the 2010 census, it had a population of 4,382. 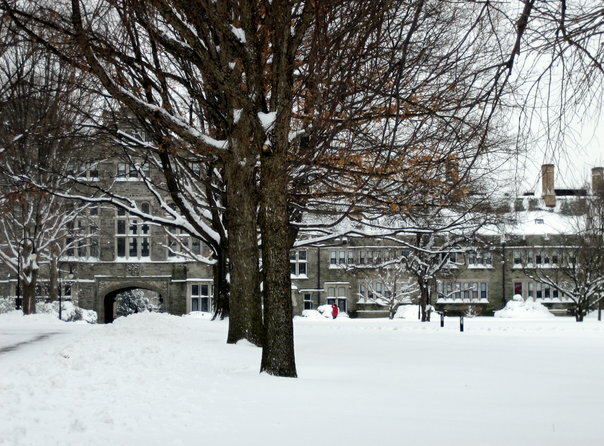 Bryn Mawr is home to Bryn Mawr College. It was reported by The Mail Tribune on March 31st, 2019 that Gardner Spencer Rogers died in Medford, Oregon. Rogers was 92 years old and was born in Bryn Mawr, PA. Send flowers to share your condolences and honor Gardner Spencer's life. It was revealed on February 14th, 2019 that Miriam Raff died in Bryn Mawr, Pennsylvania. Raff was 95 years old. Send flowers to share your condolences and honor Miriam's life. It was written on January 17th, 2019 that John Clifton Bogle passed away in Bryn Mawr, Pennsylvania. Bogle was 89 years old and was born in Montclair, NJ. Send flowers to express your sorrow and honor John Clifton's life. It was reported by Milwaukee Journal Sentinel on August 12th, 2018 that Richard W "Moses" Mayfield perished in Mequon, Wisconsin. Mayfield was 68 years old and was born in Bryn Mawr, PA. Send flowers to share your condolences and honor Richard W "Moses"'s life. It was disclosed on June 2nd, 2018 that Sandra "Sandy" Selkeil-Deholl (Souder) passed on in Oakton, Virginia. Ms. Selkeil-Deholl was 78 years old and was born in Bryn Mawr, PA. Send flowers to express your sympathy and honor Sandra "Sandy"'s life. It was reported by Bristol Herald Courier on March 16th, 2018 that Phyllis Maureene Grunstra (Caley) died in Bristol, Virginia. Ms. Grunstra was 87 years old and was born in Bryn Mawr, PA. Send flowers to express your sorrow and honor Phyllis Maureene's life. It was noted by Sarasota Herald-Tribune on February 16th, 2018 that Anne H "Annie" Spurge passed on in Sarasota, Florida. Spurge was 95 years old and was born in Bryn Mawr, PA. Send flowers to express your sorrow and honor Anne H "Annie"'s life. It was reported on January 6th, 2018 that Steven Jr "Deet" Combs passed on in Philippines. Combs was 28 years old and was born in Bryn Mawr, PA. Send flowers to express your sorrow and honor Steven Jr "Deet"'s life. It was disclosed by The Daily Herald on November 12th, 2017 that John Joseph McBlain died in Palatine, Illinois. McBlain was 86 years old and was born in Bryn Mawr, PA. Send flowers to express your sympathy and honor John Joseph's life. It was written on October 21st, 2017 that Paul Jr Gazzerro died in Bryn Mawr, Pennsylvania. Gazzerro was 84 years old. Send flowers to express your sympathy and honor Paul Jr's life. This was the farm of Rowland Ellis, who emigrated to Pennsylvania from Dolgellau in 1686 to escape religious persecution. The name 'Bryn Mawr' means "big hill" in Welsh and takes its name from an estate near Dolgellau in North Wales. Bryn Mawr ( 'brin-mow-r)' is a census-designated place (CDP) in Lower Merion Township, Pennsylvania Merion Township, Montgomery County, Pennsylvania County, Pennsylvania, just west of Philadelphia, Pennsylvania along Lancaster Avenue (US-30) and the border with Delaware County, Pennsylvania County. Bryn Mawr is located towards the center of what is known as the Pennsylvania Main Line Line, a group of wealthy Philadelphia suburbs stretching from the city limits to Paoli, Pennsylvania It is also home to Bryn Mawr College and as of the 2000 census, it had a population of 4,382. .
of West Chester and Bryn Mawr. wwww.DeBaptiste.com (DeBAPTISTE ... 498 Bellevue Ave., Laureldale, PA 19605. The Milkins Giles Funeral Home, Inc. Temple, PA is in charge of arrangements. www.milkinsgiles.com (MILKINS GILES) MOYER - Roxane K.
Located in Bryn Mawr and West Chester. Includes information about their services and special events. Listing all funeral homes in Bryn Mawr, Pennsylvania so you can easily send flowers to any location (same day delivery) or find any funeral service. We work with local florists and flower shops to offer same day delivery. You will find budget sympathy flowers in Bryn Mawr here. Our funeral flowers are cheap in price but not in value.